Highline Medical Center Malpractice | Davis Law Group, P.S. Highline Medical Center's mission is to provide excellence in patient care and in all of their medical services. The Burien hospital does a wonderful job helping many, many people each year. But there have been known problems at the facility with medical errors. 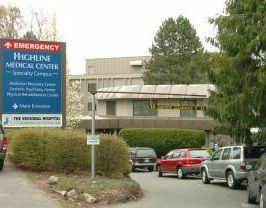 In fact, there are medical malpractice and negligence cases at Highline Medical Center every year. If you or a loved one has suffered injuries because of the actions of someone at Highline Medical Center, contact Davis Law Group today for help. Fill out our confidential medical malpractice questionnaire today to get started. If you have any questions about your Highline Medical Center medical malpractice case, contact Davis Law Group today.